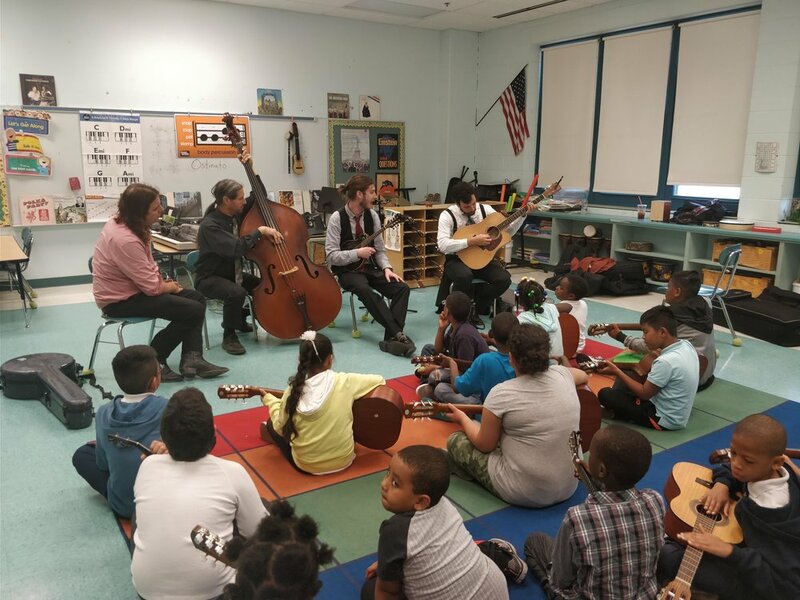 Money raised through a raffle at a Henhouse Prowlers show in April at Fitzgerald's went toward some Bluegrass Ambassadors programming at New Field Elementary in Roger Park on June 8th. Just like Rogers Park, New field has an incredibly diverse population of kids. 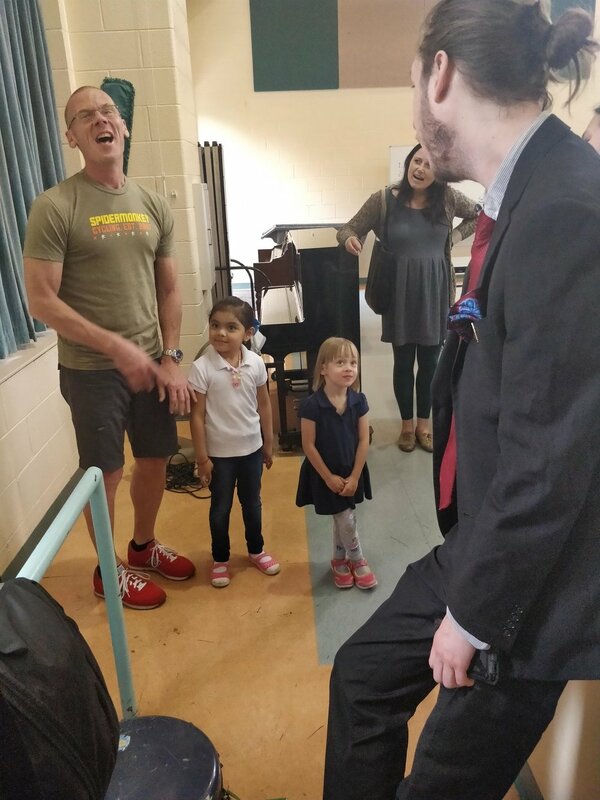 We had a blast working with the kids and even had a chance to sing some Chop My Money with a class that had 4 children from Nigeria! The video above is of the band playing a fiddle tune for the kids where we give them the control over how fast we play. By the end, Kyle was attempting to break a speed WORLD RECORD on Leather Britches. Go Kyle! Kyle has a new friend. Chris teaches the history of the guitar and basic technique to the kids. The questions we got from this group were incredible, ranging from 'does it stop hurting your fingers?' to 'do you still like each other?'. There's something powerful about coming back to the neighborhood where the band first played and being able to tell the kids about starting our dreams right around the block from where they're in school. There are plans to apply for grants and raise money to do some more lengthy programming in the neighborhood in 2019. Stay tuned!